Immersed in the dusty stacks, fingers running along book spines in search of an elusive title, a library technician spots their prey— just the book they were looking for! Library technicians and assistants are on a quest to keep libraries up to date and functional in our fast-paced, information-driven world. Library technicians and clerical library assistants help librarians with many aspects of library operations. They assist patrons, organize library materials and resources, and perform clerical and administrative tasks. Academic library technicians and assistants help students, faculty, and staff in colleges and universities access resources and information related to their coursework and research. Public library assistants work in municipal libraries that serve their communities. School library technicians show students how to find and use resources, maintain textbook collections, and help develop curriculum materials. There are also special libraries held by government agencies, corporations, museums, law firms, and medical centers, which employ these workers. Library technicians and assistants typically work part time. Though very similar to technicians’ work, clerical library assistants focus more on the administrative aspects of library operations. 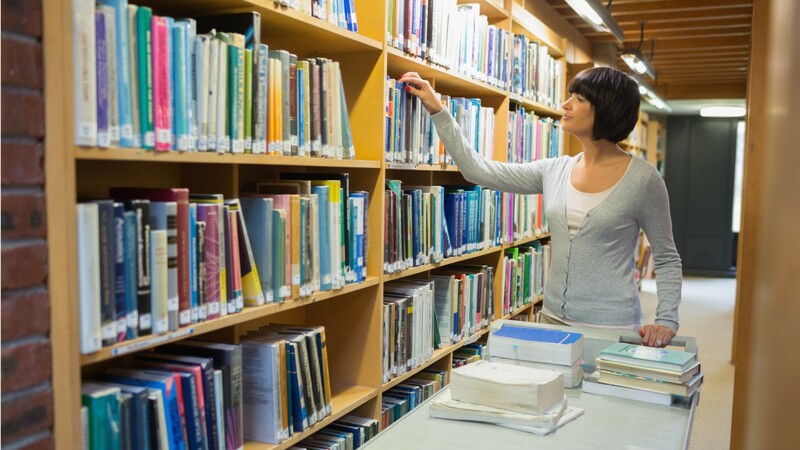 Most library technicians need to earn a certificate in their field or an associate’s degree. Library assistants typically need a high school diploma or equivalent, and are usually trained on the job. Open and close library during specified hours and secure library equipment, such as computers and audio-visual equipment. See more details at O*NET OnLine about library assistants, clerical. Library Assistants, Clerical by U.S. Department of Labor, Employment and Training Administration is licensed under a Creative Commons Attribution 4.0 International License.